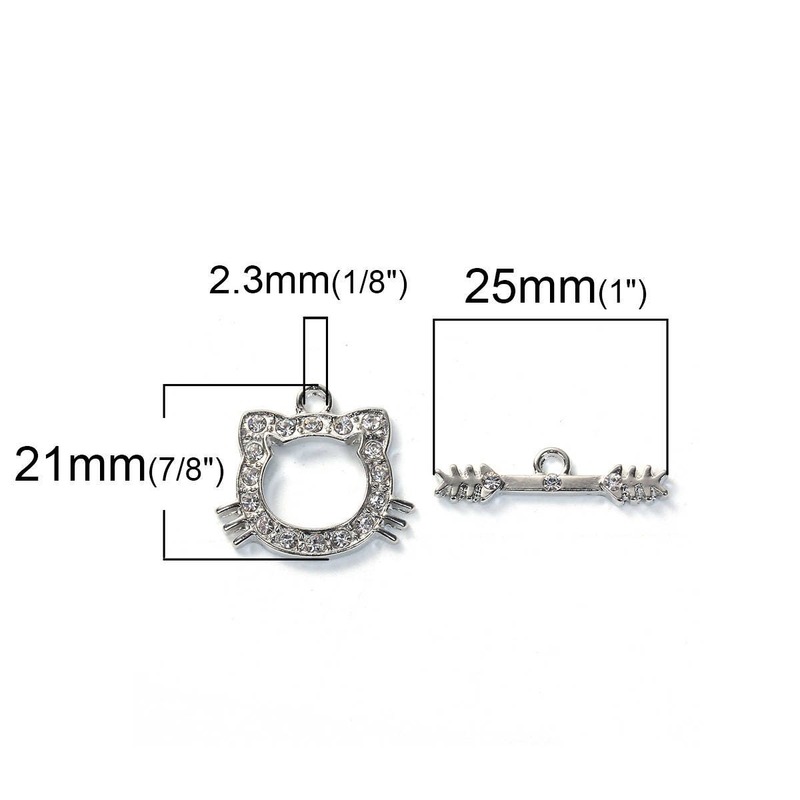 Silvertone clear rhinestones set in an adorable cat toggle clasp, toggle bar is 25x7mm and the toggle ring is 21x20mm. 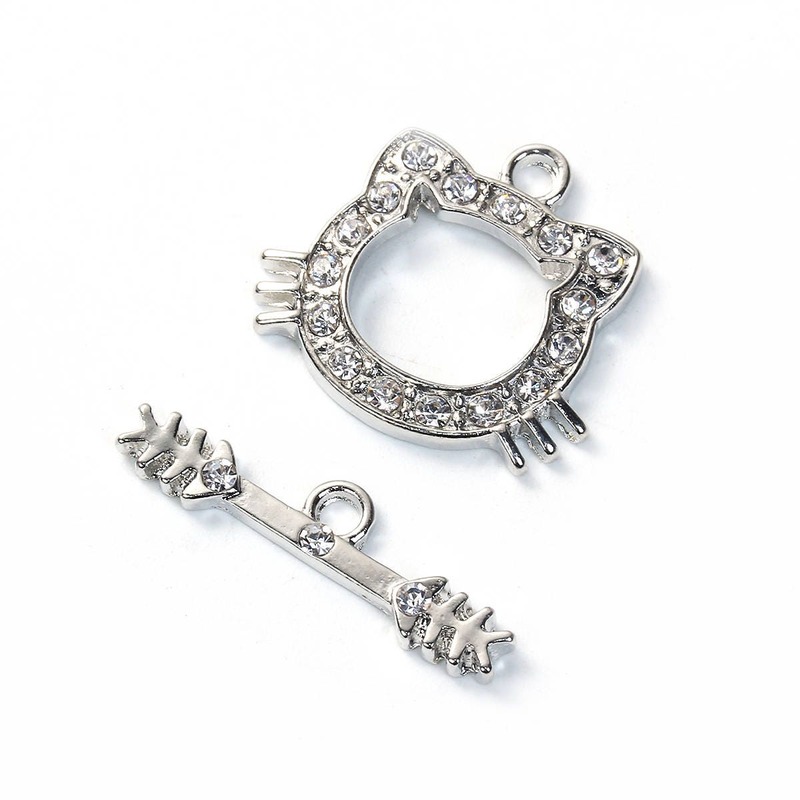 Perfect for the cat lover! 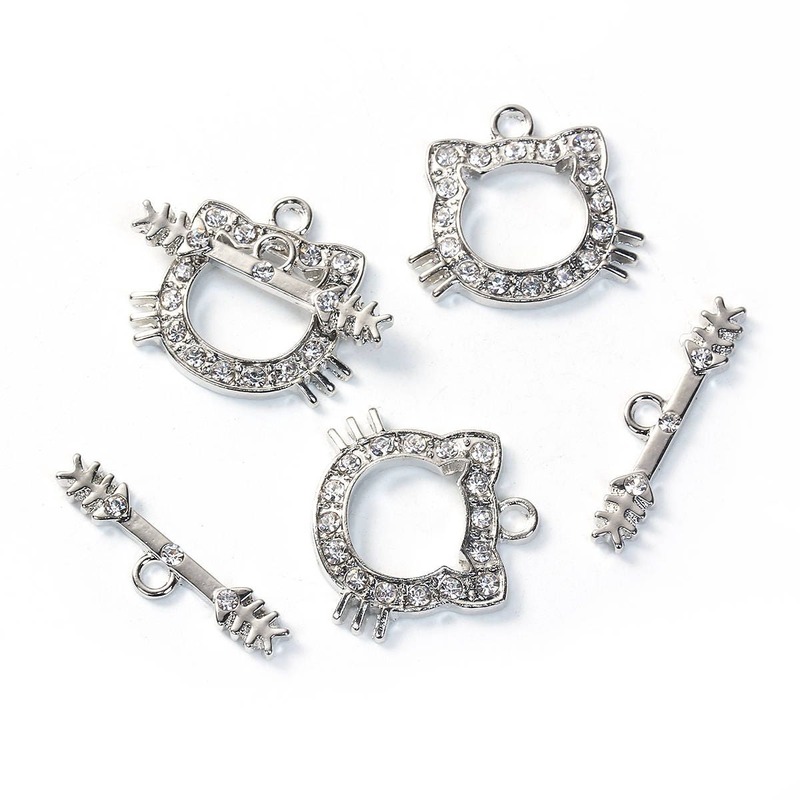 You will receive one toggle clasp.